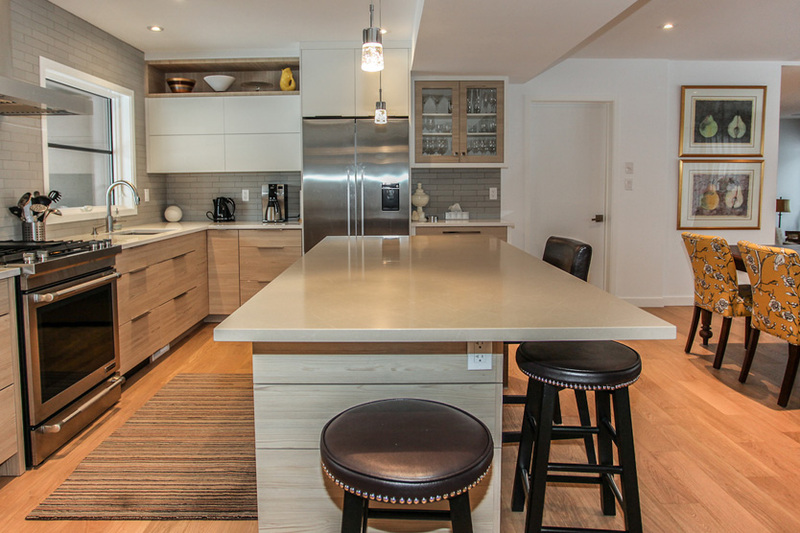 The main floor was reconfigured to feature an open concept kitchen, dining and living area. 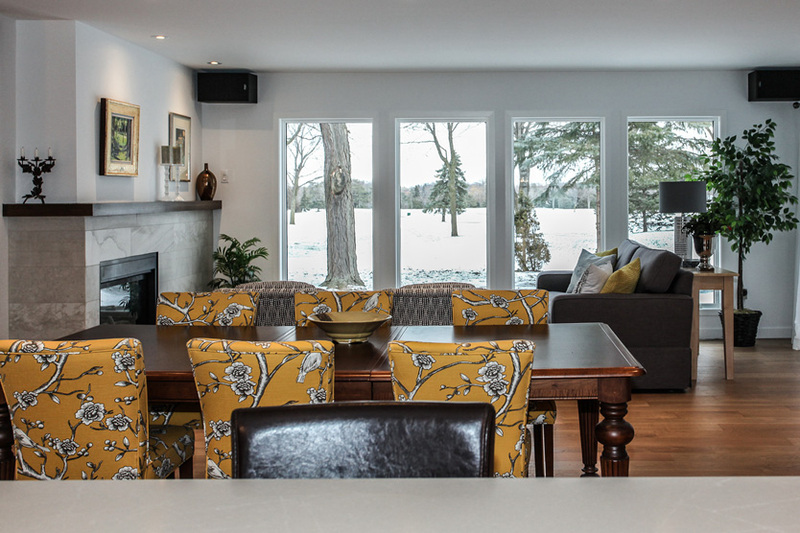 The former sunroom addition was integrated into the home's main living space. 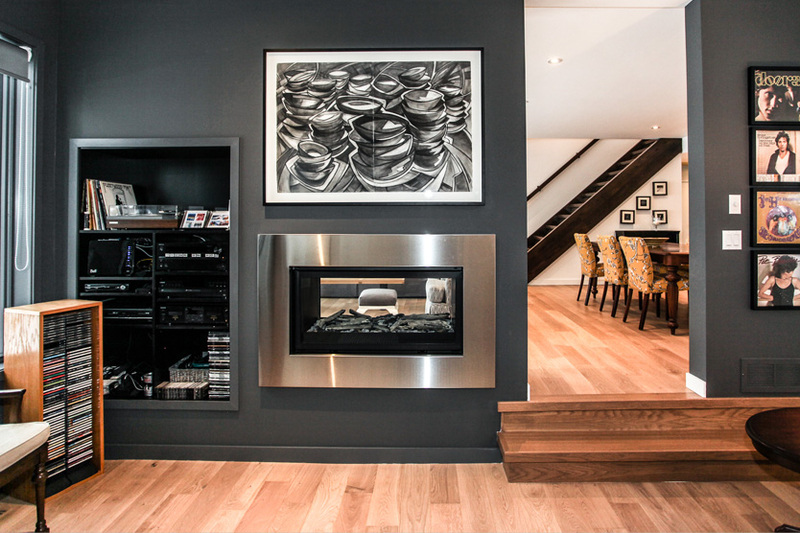 The family room shares a contemporary two-sided fireplace with the great room seating area. 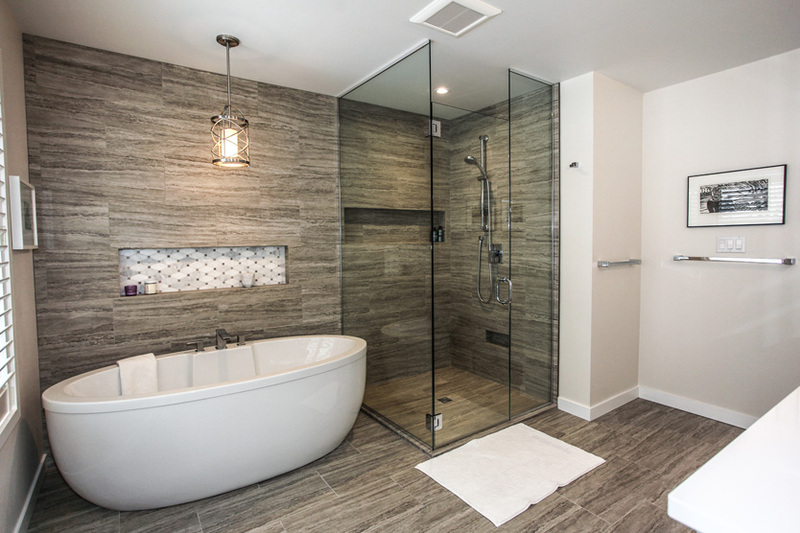 Removing the roof and converting the storey and a half to a full two-storey home allowed for the addition of an expansive master ensuite featuring soaker tub and walk in shower.